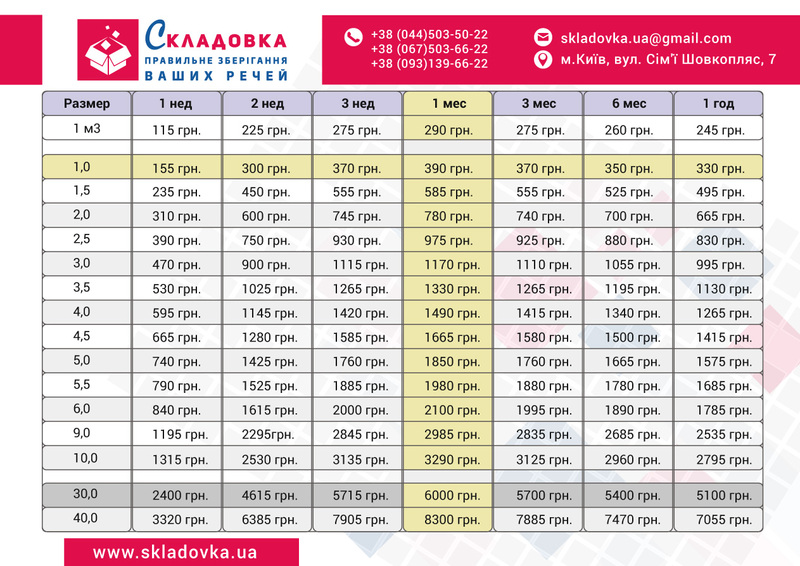 If you live in Kyiv and need to put some of your things into storage, Skladovka Self Storage is a secure and reliable self-storage solution for you. Serving our customers since 2002, Skladovka Self Storage is your one-stop shop for all your Self Storage needs. 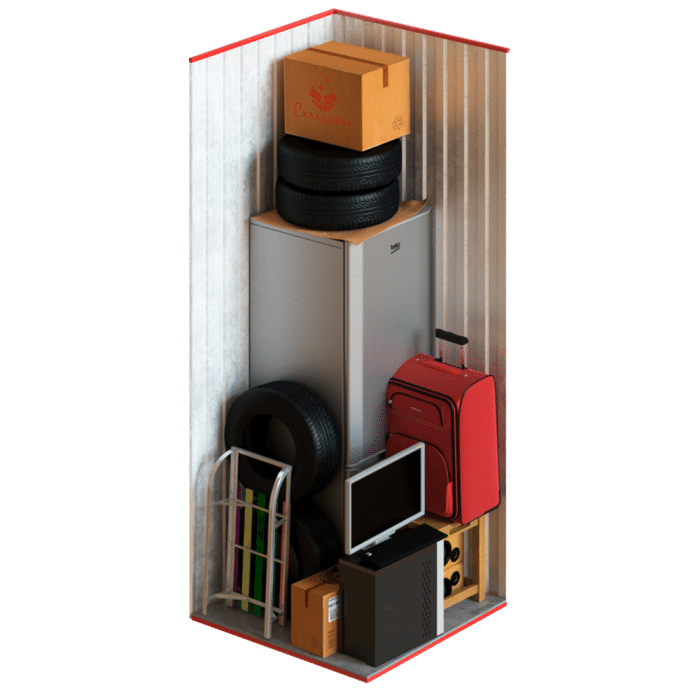 We offer a wide range of individually alarmed, self-contained and fully secure storage units on very flexible terms, with 24 hour access included as standard. At Skladovka, your personal safety, and the safety of your belongings, is our first priority. This is why every Storage for Skladovka facility is equipped with the following security features. Storage cost depends on the box size and the tenancy. The longer the rental period, the lower the storage price. To determine the size of desirable storage box, divide the area of your apartment/office space by 10.
other storage warehouses offer, so you have more free space to use! To order a rental box submit your request online, call our hotline instantly or set up a call at a time convenient for you! 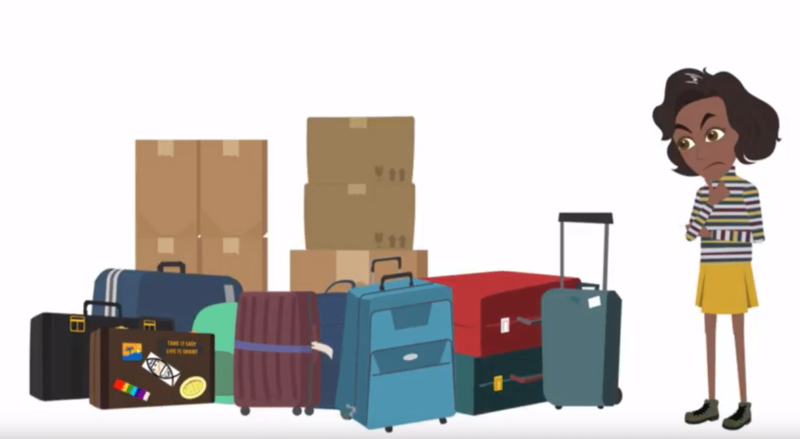 You can bring your belongings on the spot to choose the right box size and sign the contract. The entire lease process is as simple and convenient as possible. Waiting for you! Book your storage right now!